1875, september 22 born in Varena, in a family of an organist. There he was the eldest child out of nine children. 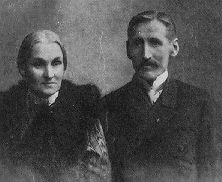 Father - Konstantinas Ciurlionis, mother - Adele (Radmanaite) Ciurlioniene. 1877(78) Ciurlionis' (3 years old) parents settle down in Druskininkai for good. 1889-92 supported by J.Markiewicz (a friend of the Ciurlioniai family), M.K.Ciurlionis (14 years old) goes to M.Oginski school of music in Plunge. 1892-93 plays the flute in some concerts of M.Oginski's school. 1894-99 supported by M.Oginski, Ciurlionis (19 years old) studies in the Warsaw Conservatoire. Tought by famous professors (A.Sygietynski - piano, Z.Noskowski - composition), Ciurlionis composes preludes, fugues, variations, cantata "De profundis", two sonatas for piano. However he faces a lot of financial difficulties because of insufficient scholarship. 1899 Ciurlionis declines the offered headmaster post in Lublin School of Music. 1900-1901 composes his famous symphonic poem "In the Forest". 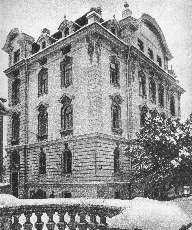 1901-02 attends K.Reinecke's and S.Jadassohn's composition lectures in Leipzig Conservatoire. Studies the works of R.Strauss and H.Berlioz. Composes canons, fugues, pieces, the String Quartet, a symphonic fantasy, an overture. Paints pictures at leisure. 1902 comes back to Warsaw. There he earns a living as a music teacher. Participates in the activity of the Warsaw Lithuanians Group, leads its choir, harmonizes Lithuanian folk songs. That is how he joins the Lithuanian Movement. 1902-03 attends a painters studio in Warsaw, but he is quickly disappointed in old-fashioned drawing methodics. Since 1903 Ciurlionis gives himself up to painting. In 1903 he paints his first notable works ("Funeral Symphony" cycle). 1903-07 composes his second symphonic poem "The Sea". 1904-06 attends the Art School of Warsaw. Tought by K.Stabrowski (the headmaster), F.Ruszczyc, K.Tikhy, K.Krzyzanowski and others, Ciurlionis takes part in an exhibition of paintings for the first time (in 1905). His cycle "The Storm" was left in the museum of this school. 1905 spends the summer in Caucasus. 1905-06 leads a Lithuanians' choir in Warsaw. 1906 goes to Prague, Vienna, Dresden, Munich and Nurenberg. 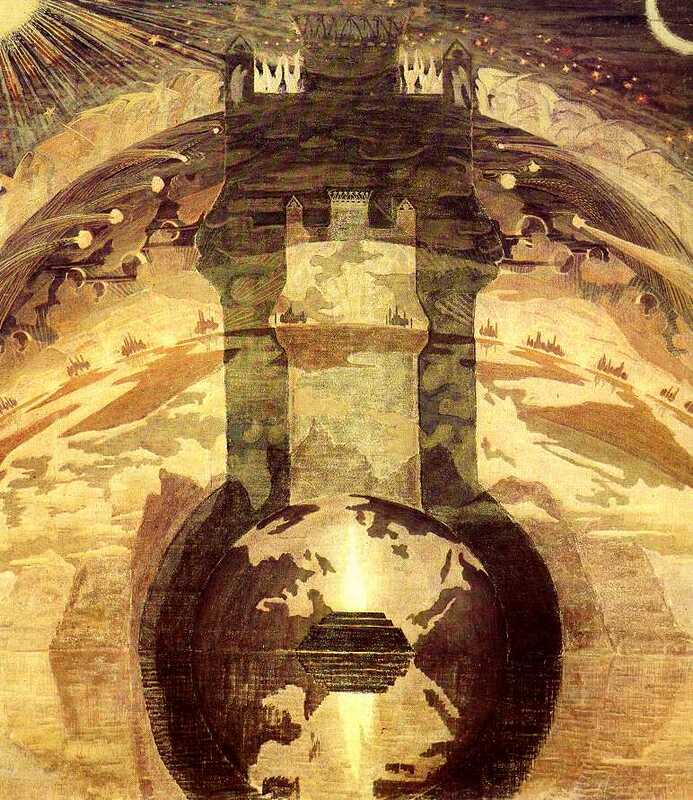 These travels interrupted creation of "The Sea". On the other hand, they filled the painter's imagination with new aesthetic impressions, which enriched his painting. 1906 comes back to Vilnius to help A.Zmuidzinavicius, P.Rimsa and others organize the First Exhibition of Lithuanian Art. 1907, january 9 the First Exhibition of Lithuanian Art is opened at P.Vileisis home (in Antakalnis street, present Institute of Lithuanian Language and Literature). Participants: M.K.Ciurlionis, A.Zmuidzinavicius, P.Kalpokas, A.Varnas, J.Sileika, J.Vienozinskis, K.Sklerius, A.Mackevicius, A.Jarosevicius, P.Rimsa (sculptor) and J.Zikaras (sculptor). The exhibition receives great popularity and recognition. 1907, september 2 the Lithuanian Union of Arts is founded, formed by A.Zmuidzinavicius (the leader), M.K.Ciurlionis, P.Rimsa and others (all in all 19 people). It supported and unified Lithuanian painters, collected their works, organized subsequent exhibitions. Until the beginning of World War these exhibitions were held annually in Vilnius and Kaunas. Ciurlionis took part in five of them, but even after his death the same paintings (about 160) were exhibited. 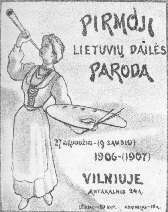 1907-08 living in Vilnius and constantly visiting Druskininkai, Ciurlionis leads the "Vilniaus kankles" choir, gives concerts, paints pictures intensively, writes articles on the point of art, takes interest in Lithuanian language, literature and folklore. 1908 summer rests in Palanga. 1908 autum goes to St. Petersburg, where he enters into relations with members of "The World of Art" group. Soon he participates in St. Petersburg and Moscow exhibitions. Although supported by A.Benois, N.Rerich and S.Makowsky, Ciurlionis undergoes extremely poor living conditions. 1909, january 1 after a short home-comming to Lithuania he gets married to Sofija Kymantaite in Sateikiai. For some time they live together in Druskininkai and Plunge. Ciurlionis keeps on painting ardently. 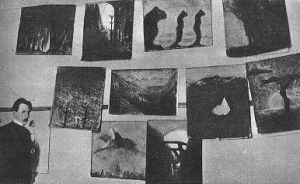 (in 1907-1909 he painted his last famous works: such as "Fairy-Tale", "The Zodiac", "Winter" cycles, all the "sonatas", "Rex", etc.). 1909 autum goes back to St. Petersburg. Exhausted and ailing he returns to Druskininkai to rest and take treatments. 1910 march goes to Pustelnik sanatorium (not far from Warsaw) because of nervous breakdown. 1911, april 10 at the age of 35 Ciurlionis dies of pneumonia in Pustelnik sanatorium. His remains now lie in Vilnius, in the graveyard of Rasos.